Many companies have a complex process for purchasing software that is required by IT projects, or better, by the business. Usually software is purchased by a centralized procurement function, and is either purchased on a project-by-project basis or as a large periodic software contract. * Create maximum awareness throughout the organization of the software purchased. * Track software use in IT projects and act if products are not used at all, used improperly, or insufficiently used. * Facilitate use of software products in projects, especially when software products are complex and require a lot of integration. 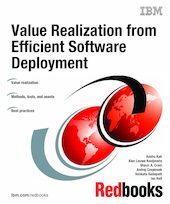 We can summarize the overall objective of this approach as ensuring that the business units in an organization obtain the maximum possible value of software products purchased, which is also the scope of this IBM® Redbooks® publication.